Big Bear is carrying a glass Christmas ornament. Fluffy Raccoon has a Christmas star. And Reindeer is dragging along an entire Christmas tree. But where are all the animals going? 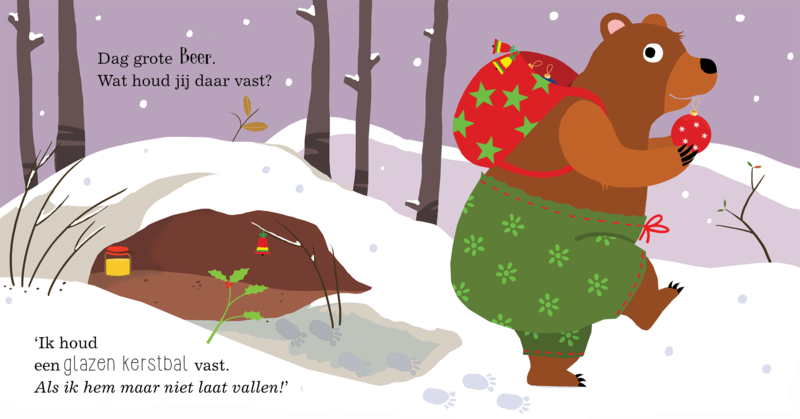 A delightful story about forest animals celebrating Christmas together. For toddlers ages 24 months and up. Jedes Jahr im Weihnachtswald. Germany, J.P. Bachem Verlag. E' quasi NATALE. Italy, Il Castello. Op naar kerst. 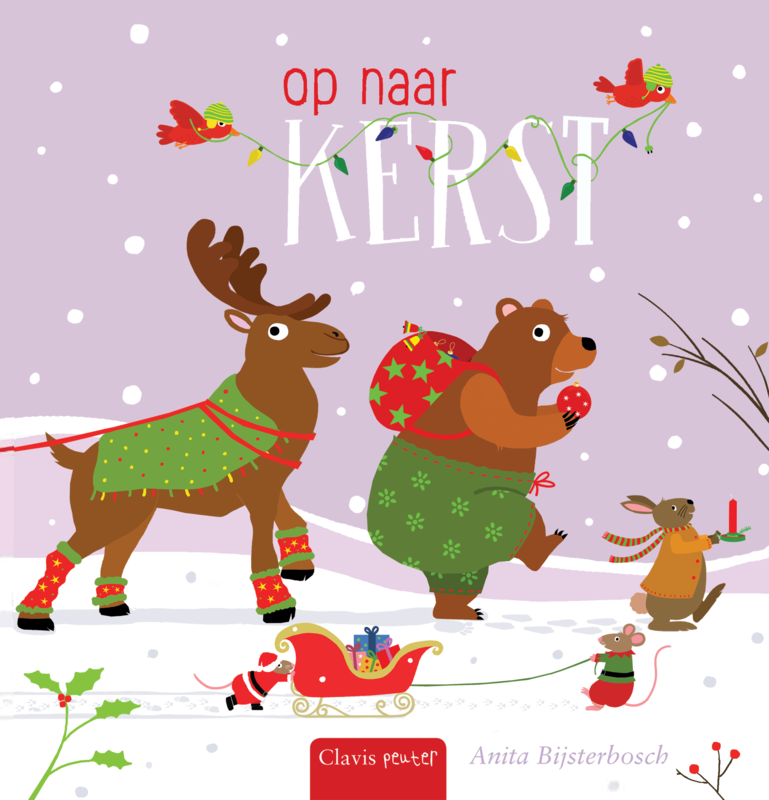 Belgium, Boektoppers VAN-IN. Taiwan, Pretty Smart Cultural & Creative (Complex Chinese).